Lock in a great price for Hotel 108 – rated 8.1 by recent guests! The bed is super comfortable. The staff were very nice, starting with the housekeeper up to the FOs we were able to interact with. When the battery of our door lock ran out, they replaced it in less then 10 mins, and even offered us to do late checkout to compensate (which for us that time, is doing the extra mile as we totally understand the need to replace the battery). They even did a small gesture greeting on my birthday! They're complete awesome! 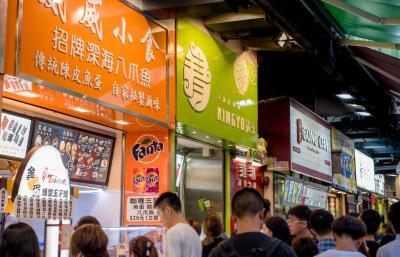 the area is good, near ladies market, lots of restaurant around, near mrt station. 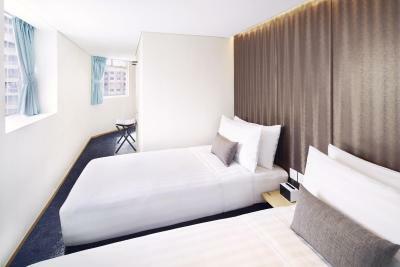 for me the the room is quite spacious for hong kong hotel in around ladies market and good value for money. the wifi is superb fast. the room is clean, each floor only have 3 rooms, so when you travel with big group of family like me its a plus thing when you get a floor just for you n your group. no need to worry about disturbing other guest. 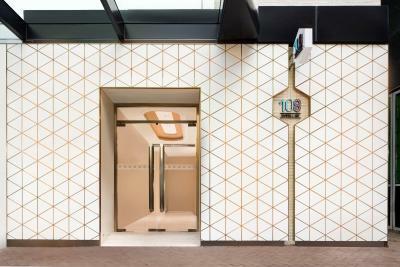 we want to extend one more day but unfortunately no available room in hotel 108 and then we move to other hotel across nathan road end very disappointed, more expensive hotel with no space to even open our luggage that we have to packed in front of our room at the hallway. easy access from and to airport just get bus 21A. 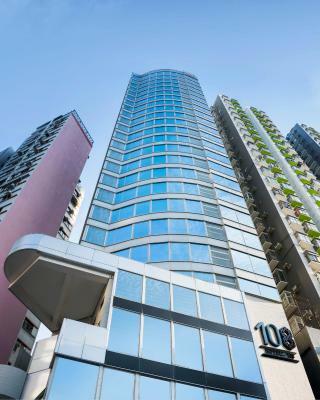 my husband even said that this is the best hotel ever stay in hong kong since 2010 for the location, the easy access, the price and the facilty. The location is perfect. Close to everything: restaurants and public transport. On arrival the staff noticed us that we were upgraded to a better room for the same price. Also, the room wasn't too small and we got fresh bottles of water and new disposable toothbrushes and toothpastes every day. 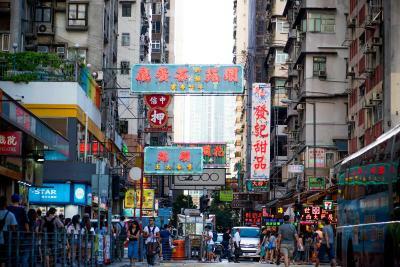 The location was pretty good as well, 5 minute walk from the MTR Station. Clean. The bed was so comfy and the room size was sufficient for the large size bag. The decoration is great, feeling cozy and modern. The location was great. 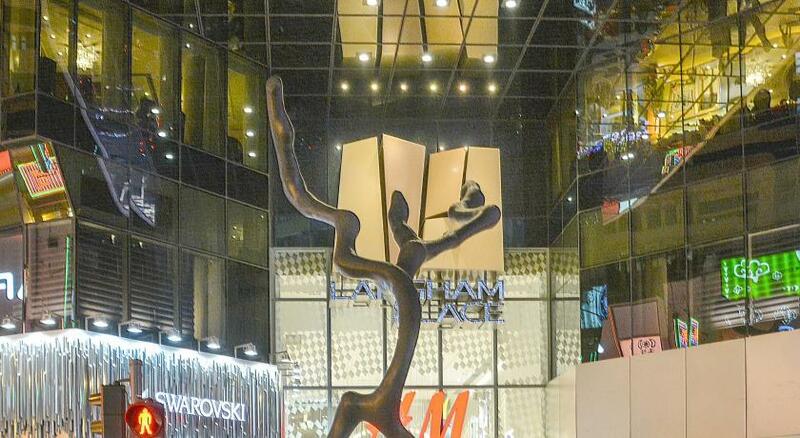 It is close to a train station, restaurants and shopping areas. The room was not big but very clean and quiet. Nice location. Quite difficult to find at first but we asked some high school students who were buying at a coffee shop and they even helped us find it. Very large bed. Room was quite small but normal to HK standards. Clean property and friendly staff. Even called a cab for us on our way to the airport. Will be back for sure at this hotel. 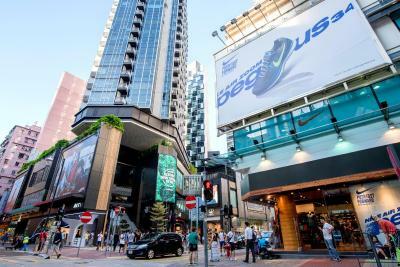 Hotel is near shopping streets and malls. 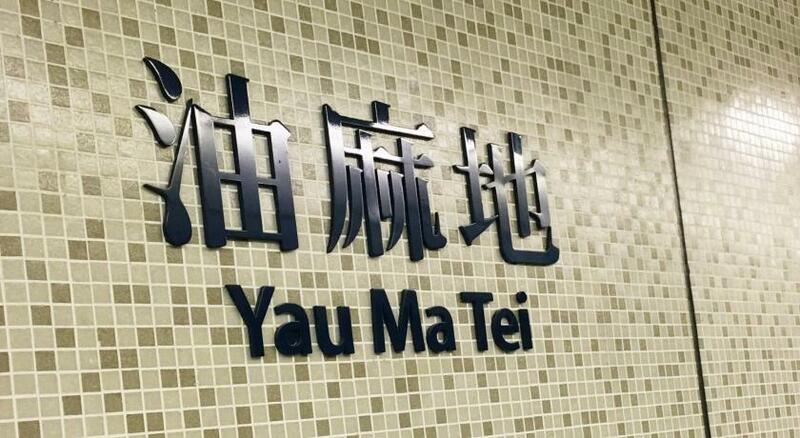 Hotel is near MTR Stations (in between Mongkok and Yau Ma Tei station). 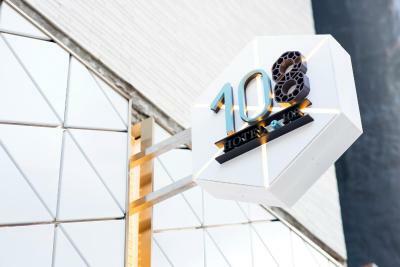 Hotel 108 This rating is a reflection of how the property compares to the industry standard when it comes to price, facilities and services available. It's based on a self-evaluation by the property. Use this rating to help choose your stay! 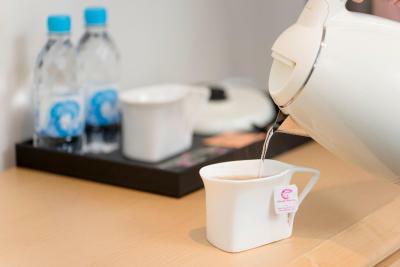 Set in the bustling area of Mong Kong, an 8 to 10-minute walk from Yau Ma Tei MTR Station, Mong Kok MTR Station and Mong Kok East MTR Station, Hotel 108 provides tastefully furnished guest rooms with free WiFi connection. 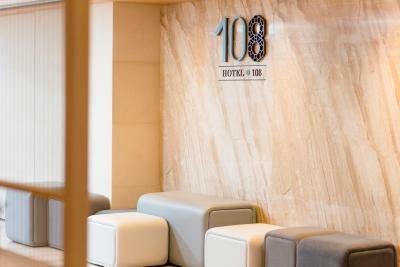 Hotel 108 is a 5-minute walk from Fa Yuen Street and a 20-minute drive from Temple Street. 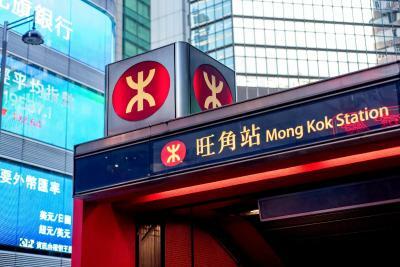 Guests can reach Kowloon Airport Express Station in 15 minutes' by car, while Hong Kong International Airport is a 45-minute car journey away. 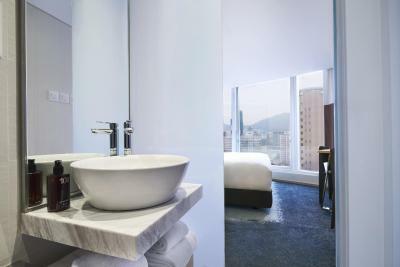 Boasting views of Mong Kok, every air-conditioned room is nonsmoking and is equipped with a flat-screen cable TV, refrigerator and desk. Certain units come with a balcony. The private bathroom has shower facilities, free toiletries and hairdryer. Daily maid service is provided. 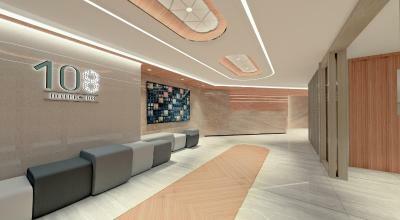 For convenience, staff at the 24-hour front desk can assist guests with currency exchange and free luggage storage. Within a short walking distance of the property, guests can find various fine restaurants and local dining options. 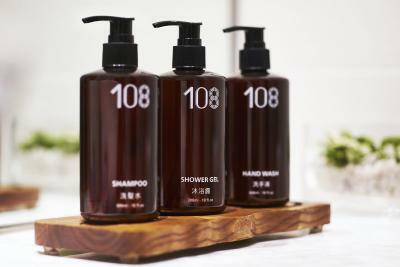 When would you like to stay at Hotel 108? 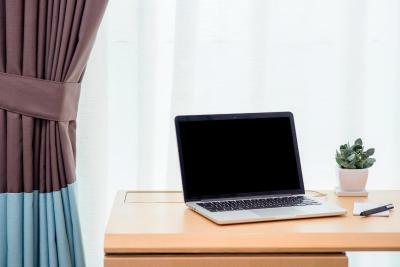 With city views and air conditioning, this room is fitted with a desk, refrigerator and flat-screen cable TV. The private bathroom has shower facilities, free toiletries and hairdryer. Featuring air conditioning, city views and 2 double bed, this family room is fitted with flat-screen cable TV, refrigerator, desk and balcony. The private bathroom has shower facilities, free toiletries and hairdryer. 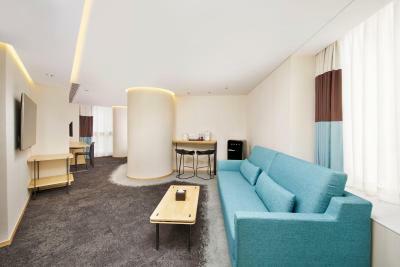 Covering 37 square yards and featuring air conditioning, this suite comes with city views and is fitted with a sofa, desk, flat-screen cable TV and refrigerator. 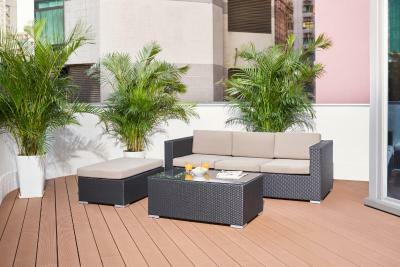 A sofa bed is available in the seating area. 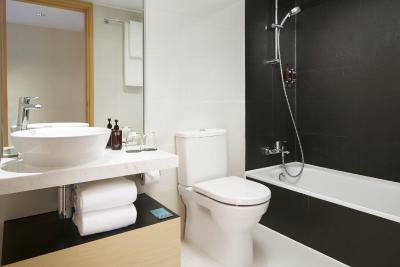 The private bathroom has shower facilities, free toiletries and hairdryer. 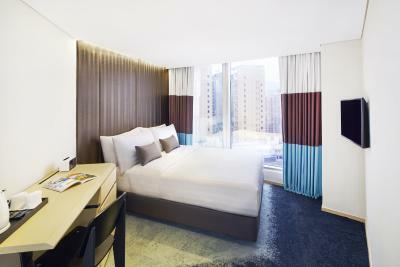 Featuring air conditioning and city views, this twin room comes with a refrigerator, desk and flat-screen cable TV. The private bathroom has shower facilities, free toiletries and hairdryer. 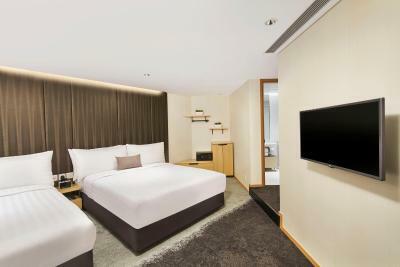 Featuring air conditioning and city views, this queen room comes with a refrigerator, desk and flat-screen cable TV. 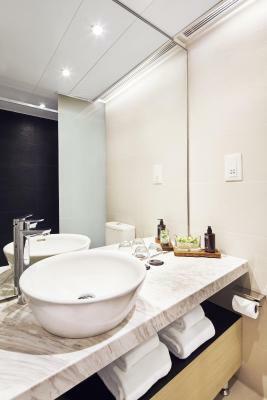 The private bathroom has shower facilities, free toiletries and hairdryer. 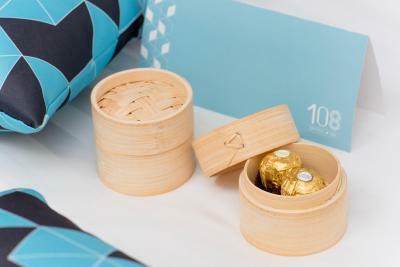 House Rules Hotel 108 takes special requests – add in the next step! 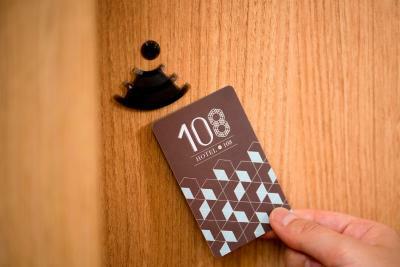 Hotel 108 accepts these cards and reserves the right to temporarily hold an amount prior to arrival. 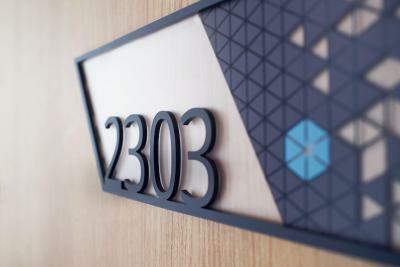 Upon check-in, guest could provide credit card for authorization as security deposit. 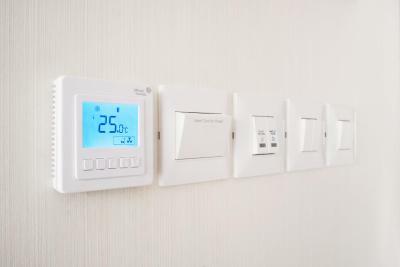 The hotel would hold the authorization until check out, at which time the amount actually incurred during the stay will be charged. Authorized amounts may take up to 30 days after departure to be released by your bank or financial institution. 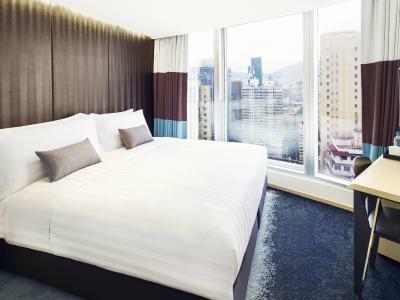 The hotel requires a refundable security deposit of HKD 300 per room per night (maximum HKD 600) upon check-in. 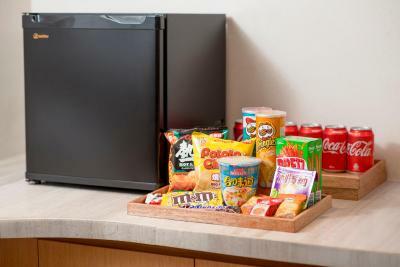 The deposit is to cover any incidental consumption incurred during the stay. 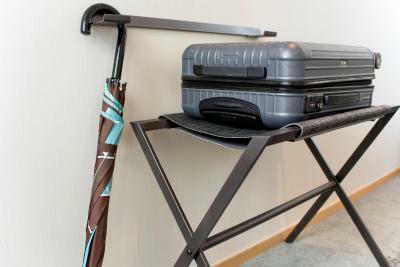 The hotel can arrange a chargeable limousine pick-up service between Hong Kong International Airport and Hotel. No jacks in the bath. So impossible to use hair dryer with a mirror. 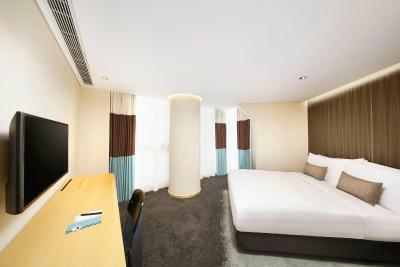 Comfortable room in the center of Kowloon. We enjoyed our stay alot. Location is great! 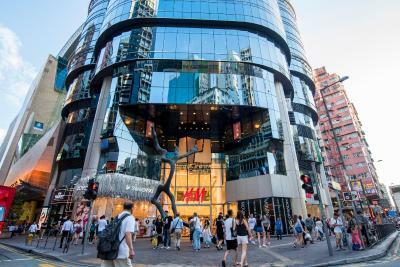 Walking distance to ladies market, Mong Kok MTR and langham place. Staff are very friendly and observant too! Gave us a free upgrade as we reached really early and they noticed that we were tired out by a midnight flight. Really appreciate their gesture :-) highly recommended. First off the water was always too hot or too cold, wifi was never working even when we complained and to ask to fix it which was never fixed. I like how big the room is and very comfortable bed. The staff was friendly and the place was clean. 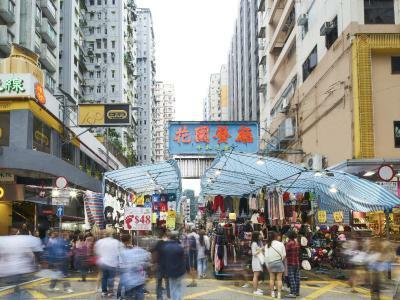 Best of all the location was near the night market, mtr station and airport bus stop. Room was small - but that is not surprising considering this is HK.. There should be a microwave. Like in most big cities the rooms are small no breakfast or substantial common areas. We had been traveling all over SE Asia and found the Hotel and staff a disappointment after such grand treatment in other countries. Hmm... this is a difficult question, as they have been very pleasant with me on everything about my stay.